Some of our services appear not to be working at the moment. Our team has been notified, and is working on sorting out the issue. SMTP Error: "The remote certificate is invalid according to the validation procedure." My emails are not getting delivered. What can I do? I have a pending customer, invoice, or payment that will not sync. What is wrong? I am getting an error saying GTMASync.exe - No Disk There is no disk in the drive. How do I activate QuickBooks Online Auto-Sync? Certain billing info or account balances are not updating. What can I do? If you receive the following smtp (email) error when sending emails, please review the following. Why are you seeing this error? What this error is saying is the smtp hostname you set in your smtp settings does not match the SSL certificate of the actual smtp server. This is typically caused when you are using an alias to the smtp host either created in your own DNS zone or an alias provided to you by your ISP. In order to fix this error, you can do a lookup on the smtp hostname to see what the actual SSL matched domain should be. There are many online SSL checkers. You can try https://www.sslchecker.com/sslchecker. This checker works pretty good. What you are looking for is in the second table where it says "issued to". 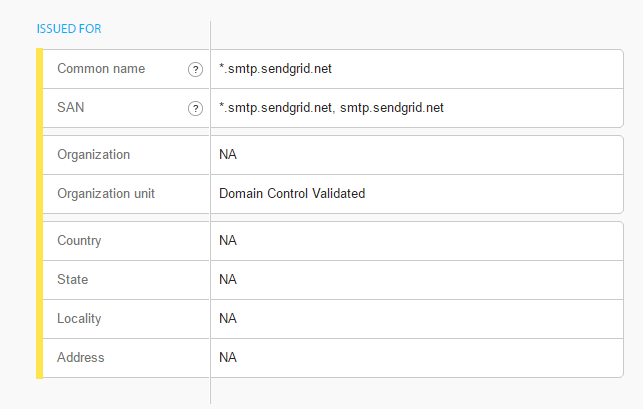 This is the domain that will match and likely the hostname that you should use in your smtp settings.